A WordPress Case Study, submitted by Wholegrain Digital, a London-based Web Design Company. Network Rail owns and operates the entire railway infrastructure in the United Kingdom, managing 18 of the largest stations in England, Scotland and Wales. Network Rail delivers 4.5 million journeys a day for its customers, managing rail timetabling by working with several different partners across the UK. This project took place during the biggest upgrade of the network in 150 years and it’s aim was to similarly upgrade the website to make it easier for users to find the service they are looking for. The challenge with this project was the number of different types of visitors to the website, who all arrive seeking different information to meet their needs. The website needed to appeal to all users, from employees (and potential employees!) to business partners, as well as those who are seeking up-to-date information on the ongoing upgrade works. WordPress was the obvious choice for this project, being the best choice for enterprises and large organizations. The ability to create custom user roles was key in this project, as the site needed to be simple to use for the many people who would be managing it. This would ensure the content caters to a wide and varied audience. To address the challenge of ensuring the new site would appeal to a wide audience, a series of UX sessions were held with the client. This resulted in several user personas to ensure a full understanding of those who would be using the site, before approaching the design. A custom ‘scheduling posts’ plugin to allow specific user roles to schedule changes to a post without affecting the live post. Box and the SiteOrigin widget have been integrated in the site via a custom plugin. This allows editors to display folders and files from Network Rail’s Box account. 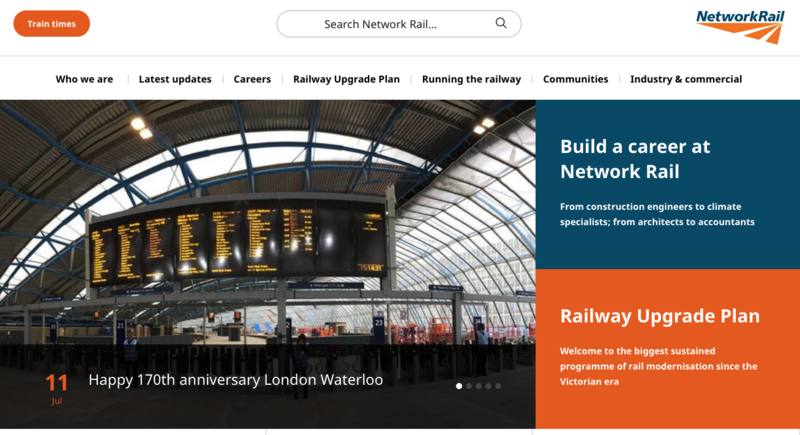 The new theme that was developed greatly improved the UX of the site and the various custom user roles make it much easier for Network Rail to manage them internally. The new design layout is also far easier for users to navigate and the site is now responsive across all mobile devices.